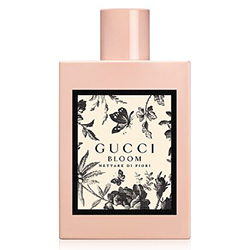 Check out the latest floral fragrances this holiday season, as featured in Redbook November / December 2018 issue. Actress Connie Britton models for the cover story photographed by Robert Ascroft/Bravo. 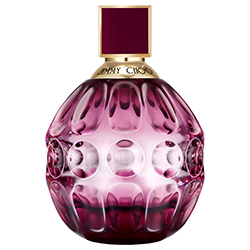 Pretty Cozy - Scents and outfit staples that are just as fab on the couch as off of it. Add on-trend florals to your holiday survival kit, in the form of a pick-me-up spritz and a few comfy-gorgeous outfits that will go anywhere! 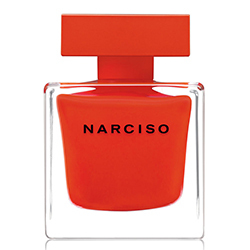 This happy red-orange hue will brighten up gloomy days and wardrobes. The new floral fragrances are no wallflowers: Their bouquets are bursting with strong, intoxicating notes like jasmine, iris, and deep rose. Just like you, the shade can be many things - girly, sophisticated, serious, and fun - all at the same time. Inspired by the slightly subversive allure of darker varieties of the classic flower (from blood red to deep maroon "black magic" roses), the latest iterations of the note are less sweet and innocent, more spicy and sensual - the perfect cold-weather complement. In ultra-luxe fabrics, the classic fall pigment feels even ritzier. And, like black, it's equal parts elegant and edgy. The queen blooms of the night, some types of jasmine buds release their warm, sultry aroma after dark and are harvested from dusk til dawn, making it an ideal scent for evening. The potent petals are also used in aromatherapy for their calming properties, so spritz, sit back, and say, "Ahhh." 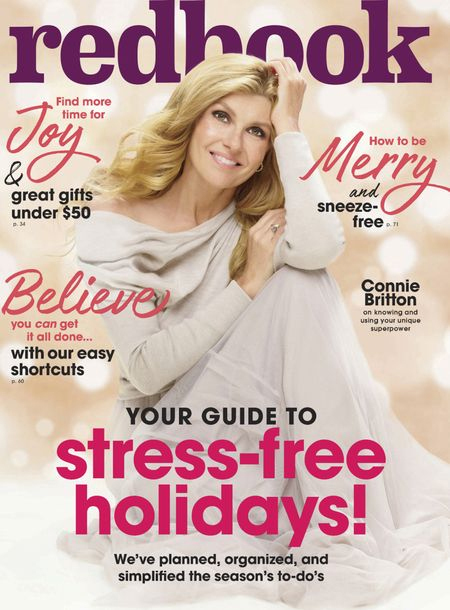 Cover model and actress Connie Britton is featured in the Kick Back with Connie article that talks about her upcoming television series Dirty John.